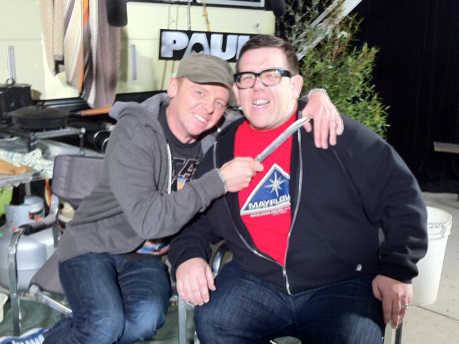 A shot of Simon Pegg and Nick Frost between promoting their inspired new heart-warming sci-fi comedy film, Paul. The film itself references among other science fiction greats E.T. and Close Encounters of the Third Kind. Check out Nick sporting our Close Encounters inspired ‘Mayflower Project’ T-shirt! To view more snaps by Simon Pegg have a looksee HERE.